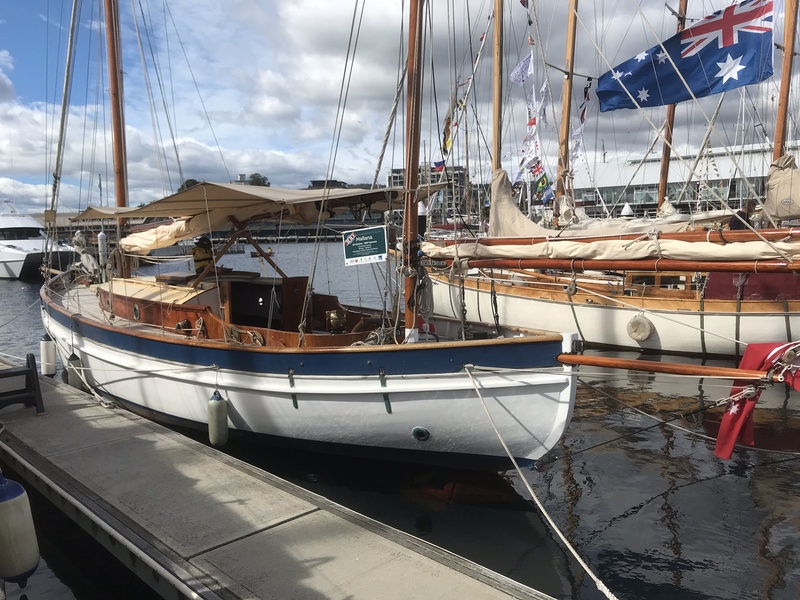 This year I had the great good fortune to journey to Hobart, Tasmania, to give a couple of talks at the biennial Australian Wooden Boat Festival. Courtesy of David Shering and his father John, I had a delightful sail in from nearby Kettering, aboard the 32ft. Hess cutter Ubique. I could tell you about that, or the warmth and vitality of all the people I met, or about the overwhelmingly beautiful array of vessels at the show, but instead I would like to talk about why the event has no business existing. See, any sensible festival organizer would choose a topic that has some chance of being interesting to a lot of people, and would stage it in a place that people would, you know, be able to get to. 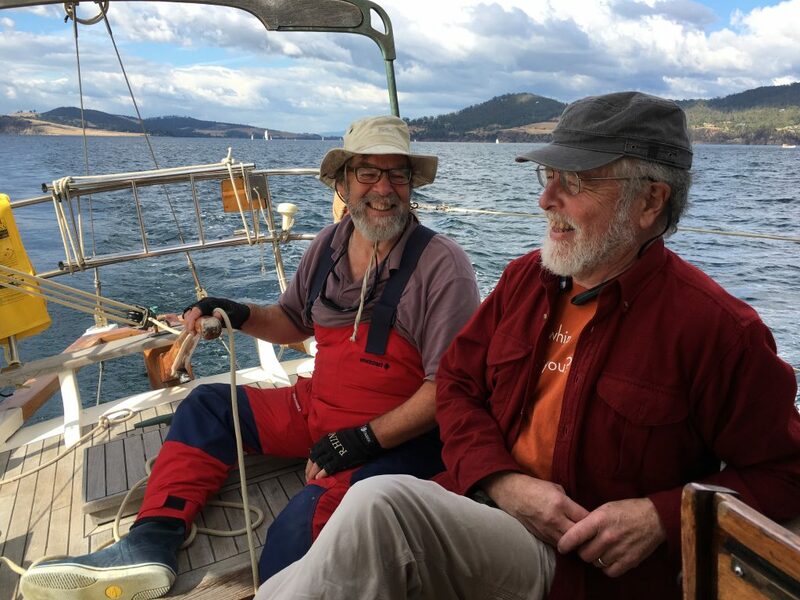 The organizers in Hobart did neither, choosing instead to promote, in an utterly remote location, an interest that lies at the unfortunate intersection of the appallingly archaic, the profoundly impractical, and the ruinously expensive. They might just as reasonably have hosted an antique car festival at the North Pole, or a mental health festival in Florida. Sure, there are some oddball interests with a small-but-devoted following out there, but location matters. There is a reason that the world’s biggest cheese festival is in Cheshire, England, and that the world’s International Hair Freezing Contest (I am not making this up: https://www.thisisinsider.com/canada-hair-freezing-contest-photos-takhini-hot-springs-2019-2) takes place in the Yukon. People who care deeply about wooden boats – or who are even aware that they still exist – are very few and far between, so if you have any hope of attracting more than a sliver of this tiny, ultra-specialized audience, you will need to locate the festival as close as possible to the greatest number of zealots. The obvious prime location is Western Europe, where people never throw away old stuff in general, and where the standard of living is sufficiently high that shipwrights can still make a living keeping ahead of the rot. Sure enough, if you take a look at Europe’s Atlantic Coast, and find the geographic center of the coasts of the British Isles, Holland, France, Spain, Portugal, and Germany, and the navigable portions of Scandinavia, you will land more or less at the western end of Brittany. And that is where, every four years, the Brest/Douarnenez festival happens. It attracts about 715,000 visitors, and about 9,000 sailors, on 1,500 boats, from 25 different countries. Huge, right? But consider, Oktoberfest draws ten times that many tourists, every year. Even with strategic placement and a spectacular array of boats, the boat festival attracts fewer people than the Polish Woodstock Festival (I am not making this up, either: https://en.wikipedia.org/wiki/Pol%27and%27Rock_Festival). Okay, now where do you suppose the second-largest wooden boat festival is held? New England, where olde money might be expected to subsidize this manifestation of elegance? Nah, maybe 100 boats in Mystic every year. California, maybe from tech zillionaires chasing the latest fad? In your dreams. Okay, how about my beloved Port Townsend, which has held its Wooden Boat Festival every year since 1977? 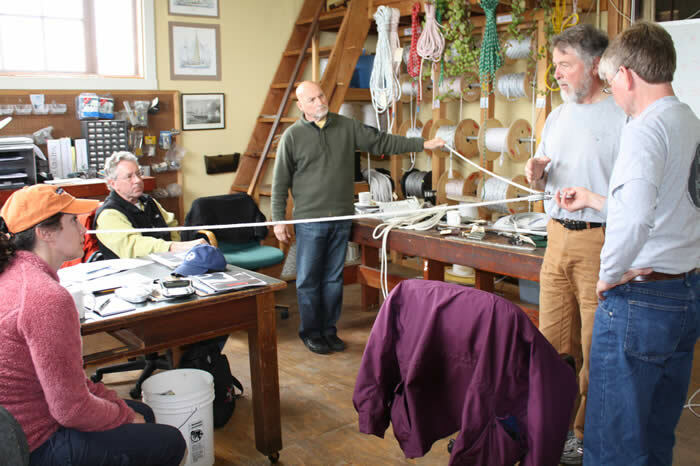 We are home to a fanatically devoted collection of shipwrights, boatbuilding is part of the curriculum at our local high school (https://nwmaritime.org/youth-programs/maritime-discovery-programs-serve-over-200-students-this-spring/ ), and after you graduate you can move on to the grownup’s wooden boatbuilding school just down the road in Hadlock. Boats are deep in our culture. And as if that weren’t enough, Seattle is home to yet more tech zillionaires, as well as other well-to-do, oddball-interest-inclined people. As a result, as many as 40,000 people show up here in September, to see 200 to 300 boats. That’s pretty respectable, all things considered. But, though I am sad to say it, we are in fact a distant third in the Least Likely Festival attendance sweepstakes. The actual second place spot is held by …. Hobart, Tasmania. Right, you say, sure you say. As if this tiny island, situated about as far as possible from any other place on earth – except for Australia, which is also situated as far as possible from any other place on earth — is going to draw more than, say, a few hundred locals to a wooden boat event. Right. Sure. But they do. Somehow, every other year, over 200,000 visitors travel a minimum of 700 miles (that’s if you already happen to be in Melbourne) to see about 550 boats, plus innumerable artisans, musicians, toolmakers, authors, educators, and representatives of every other trade even remotely associated with wooden boats, all arrayed along a mile of waterfront in downtown Hobart. Clearly this is impossible. But Hobart is a wonderful, magnetic, odd, magnificent place, an outpost of the old British Empire, founded when about half of the Europeans in the area were in penal colonies. Magisterial buildings and medieval-seeming winding streets are overlaid with contemporary technologies and Aussie swagger, to create an environment that is simultaneously formal, rustic, and full of chutzpah. Which is why it is also home to the World’s Least Likely Major Art Museum, the MONA, where a poop-making machine and a musical trampoline vie for attention with an overpowering light show, and a waterfall that spells out live Google searches, alongside more conventional art pieces (https://mona.net.au/museum). Like the boat festival, the MONA should by all rights not exist, and probably neither of them would, anywhere outside of Tasmania. This is Australia’s poorest state, a sort of Outback Appalachia, its logging and mining glory days long in the past. But it is also, well Australian, to a degree that frankly makes the rest of the country look like — forgive me — New Zealand, so it brings a formidable amount of grit and playfulness to every occasion, which tends to attract outrageous outliers like MONA, unlikely-but-burgeoning tech startups, the world’s first Green political movement, and of course the wooden boat festival. In Tasmania, weirdness wins. 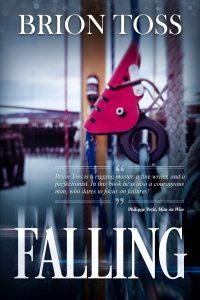 A parting note: My most recent book, “Falling,” is now available as an ebook and as an audiobook, from Apple as well as Amazon. To get your copies, click Here for Amazon, or visit the ibooks store if you are on a Mac. 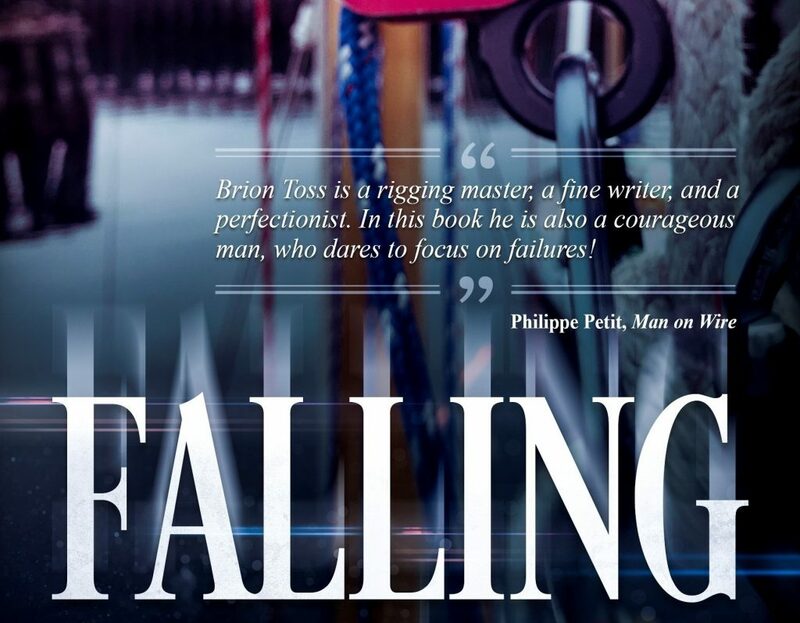 If you would like to go old-school and get an actual book, complete with autograph, write to catalog@briontoss.com. Be sure to specify who you would like the book dedicated to. I was there,demonstrating and teaching the art of sculling,an obscure,archaic,almost forgotten skill.. It will remain to be the fundamental ability to move a small vessel.. No matter how much engine or sail power, radio, EPIRB, fancy electronic gear that you have,this ability can save you,, in many situations!. Like the wooden boats surrounding,, it has a natural beauty which will endure. I have been doing this for seventy years, in this remote AWBF I met others who knew more, so that I have improved my understanding and presentation. A benefit to me and to those who learned from me. 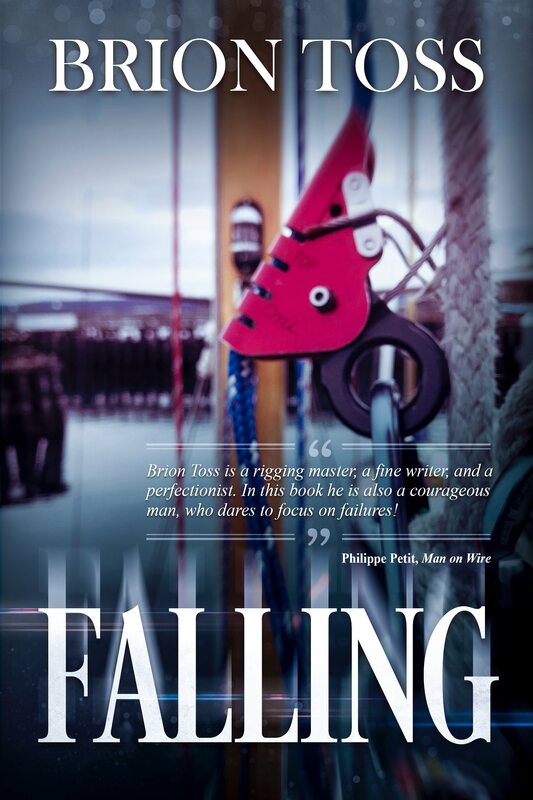 It would appear that the author has spent little time at classic/wooden boat festivals in Australia. We have the best boat building timbers in the world and some of the best boat designers (remember Australia II?). Try going to the Sydney festival, or Paynesville, or Goolwa, or Narooma………………..mate. I look forward to seeing all those events, and singing their praises.